Charing Cross Station is situated right in the middle of the most important British symbols in the capital of the United Kingdom. Just imagine that the Strand and the London Eye are just at a walking distance. However, this is an article about a Heathrow transfer, so we have attached at the end some pieces of advice regarding your options, especially if you want or need to arrive in Charring Cross Station area. In case you are obliged to book with a hotel that is situated nearby, you can try places like: Charing Cross – A Guoman Hotel, Corinthia Hotel London and The Trafalgar Hotel London. They all received high ratings and great reviews. 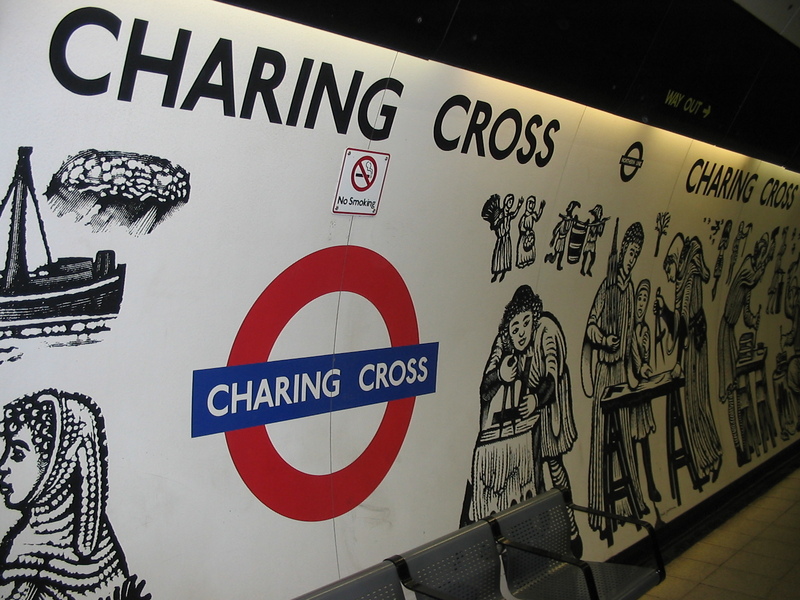 Moreover, Charing Cross is very close to other equally important stations like: Covent Garden Tube Station and Piccadilly Circus Tube Station. As you can see, while living in this area, you are able to easily reach every district in London. However, we would recommend you to take a few hours of your precious time and enjoy the sights and local attractions in the Charing Cross area, before heading towards other touristic objectives. For example, you could try a wonderful British play at Playhouse Theatre or Savoy Theatre, or maybe an exceptional opera show at London Coliseum – English National Opera (ENO). For museums, statues, important collections, breath taking items and architectures, you could visit The Strand Gallery, St Martin-in-the-Fields and Trafalgar Square. Shopping is another great and relaxing activity, so go ahead and visit the following superb boutiques and stores: Davenports Magic Shop, Hardys Original Sweet Shop and Tenderproduct. Of course, many other markets and places await for your good taste. The above mentioned places and means of entertainment are just a small proof of the wonderful things and activities that you can see and do in the Charing Cross Station area. We hope that this article was useful to you and made your journey stress free. In order to get a Heathrow to Charing Cross Station by rail, you have the train from Heathrow Airport (every 15 minutes) via Paddington (H&C) (every 5 minutes). This whole journey takes about 29 minutes. Another option would be to take the Tube from Heathrow Airport (every 5 minutes) via Leicester Square Underground. This journey will take about 48 minutes. The third option is to take the bus from Heathrow Central Bus Station via St James’, Trafalgar. This option will take about 1 hour and 3 minutes. A Heathrow to Charing Cross Station Transfer by car can be done by taking the M4 motorway and then the A4. Heathrow Airport is at a 17.6 miles distance from Charing Cross Station. This journey will take about 37 minutes, without including traffic. A Heathrow to Charing Cross Station Taxi with 247 Airport Transfer is going to take about 54 minutes, including rush hour traffic. The price for a Heathrow to Charing Cross Station Taxi starts from 43 GBP..